Psoriasis is a chronic skin condition in which new skin cells grow too quickly. It causes thick, scaly patches on the skin and can be very uncomfortable and debilitating. Each year thousands of psoriasis sufferers flock to the Dead Sea in Israel to bathe in the sea and have their Psoriasis relieved by the miracles of this highly salt concentrated body of enriched water. Travelling across the world to the Dead Sea is not possible for everyone. However one psoriasis sufferer, Dan Goldberg has decided to bring the Dead Sea to the psoriasis sufferer. Dan is the founder of Mineralee, an enriched Dead Sea water product. Dan experienced incredible results after bathing in the Dead Sea for only 4 days, so he went on to spend the next 3 years researching the springs that release the minerals into the Dead Sea. He developed his own product that he believed would benefit many psoriasis sufferers as he himself had been helped. 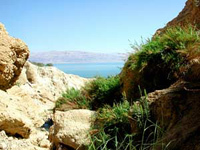 The Mineralee water is extracted off the Eastern Shore of the Dead Sea and has high concentrates of magnesium, sodium, potassium, bromides, sulfates and other minerals added to it. The water is undiluted, has no added fragrance or chemicals and is completely pure. Dan believes the water has both healing and therapeutic qualities that will have both a positive physical effect as well as a positive mental effect for people using the water. The chronic and debilitating effects of psoriasis make any new product of interest to those concerned. Lets hope Mineralee will be able to help many psoriasis sufferers.